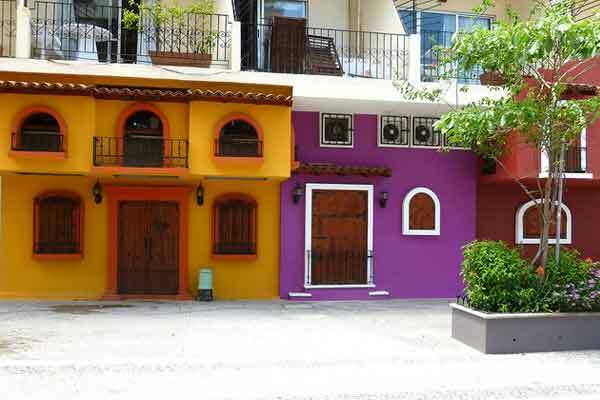 My condo on the south end of Olas Altas in Zona Romantica is positioned just feet away from Arts Vallarta. This is a one stop shop for the budding or experienced artists and everyone in between. What a treat to sit on our balcony and watch a group of students as they make their way down the cobblestone street and walk past the colorful roosters gathered at the corner. Whether their creations end up in a high-end gallery or their living room wall, the artists vary as much as their creative styles. 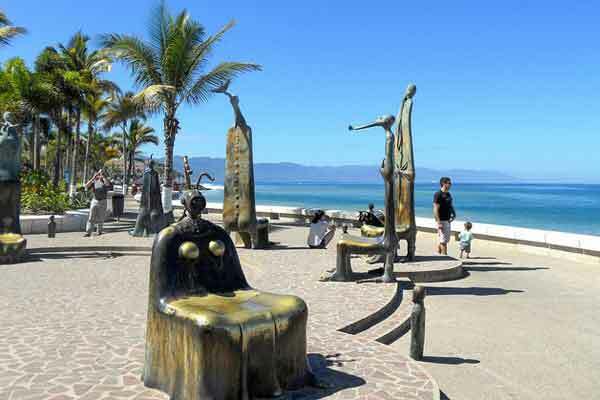 Los Muertos Beach on Banderas Bay provides many incredible choices for any canvas. The varying shades of the ocean set off by the Sierra Madres is a pretty good start to get the creative juices flowing. But then, you can add the array of birds from tremendous brown pelicans, to hovering frigate birds, Mexican vendors with arms full of beaded, wooden, and textile treasures, and the dramatic sculpture that is the Los Muertos Pier. 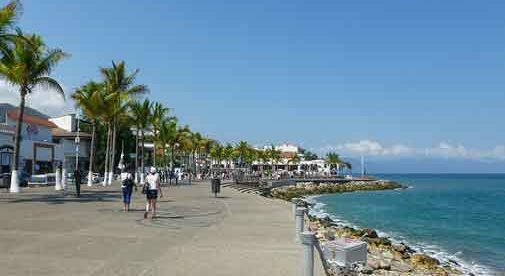 If you stroll up Francisca Rodriguez Street from the pier, you will be overwhelmed by exotic plants and flowers courtesy of the Vallarta Garden Club. 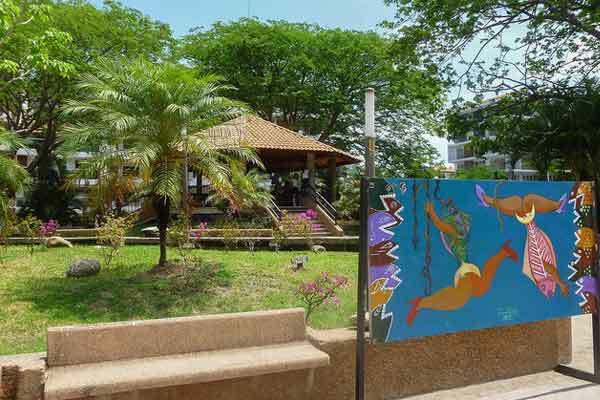 Additionally, there are sculptures, and one-of-a-kind painted benches to inspire the artists as they sip their coffee or enjoy a beer at one of the eateries that line the street. The area has many friendly short-term and long-term residents who make both the artist and the art enthusiast feel welcome. You may see a Canadian couple in their twenties visiting for just a short time…an American couple in their sixties who are full-time expats…a silver-haired man in his seventies braving the rocky road with bare feet. 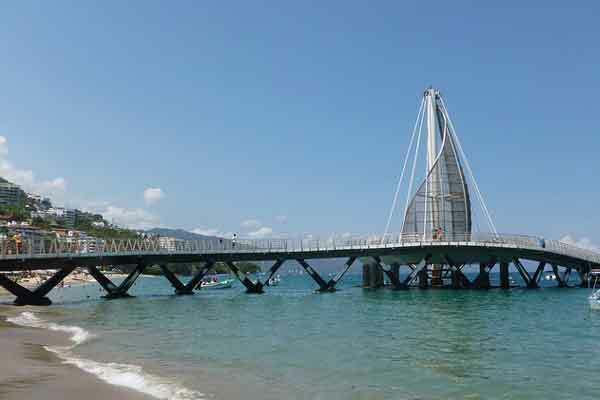 In Puerto Vallarta’s Zona Romantica, you’ll find a community that welcomes you for who you are.